One of the best things I brought back from my semester abroad was the urge to explore. I now find myself with this constant need to experience something new, regardless of the geographical distance. 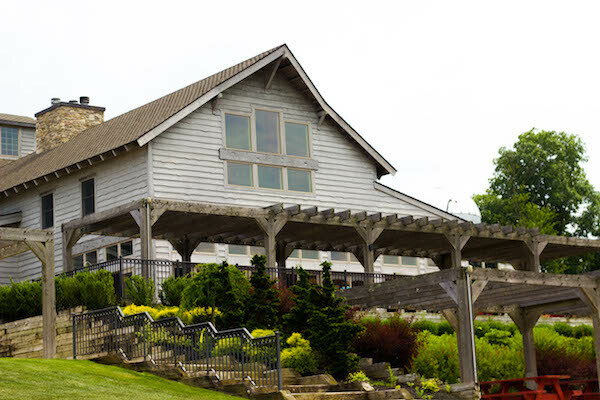 In this case, I had been searching for possible day trips and somehow discovered the various wineries our state has to offer. 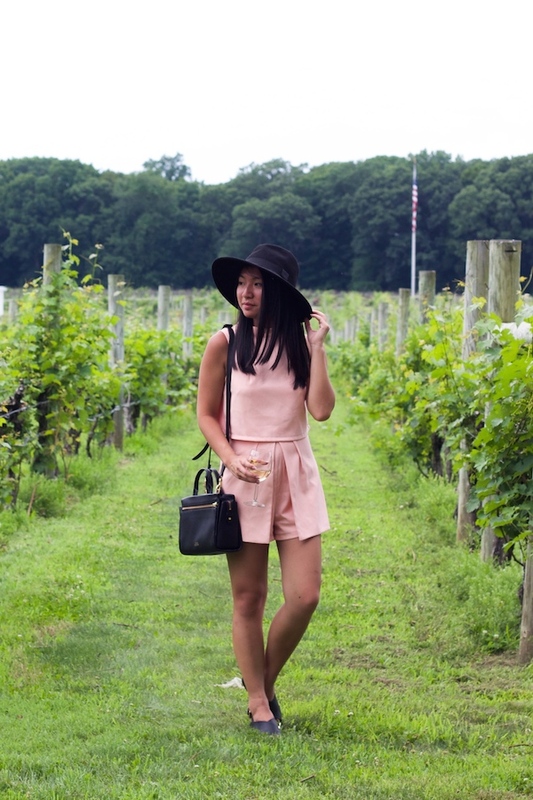 Who knew Jersey had its own little Napa Valley waiting to be found? 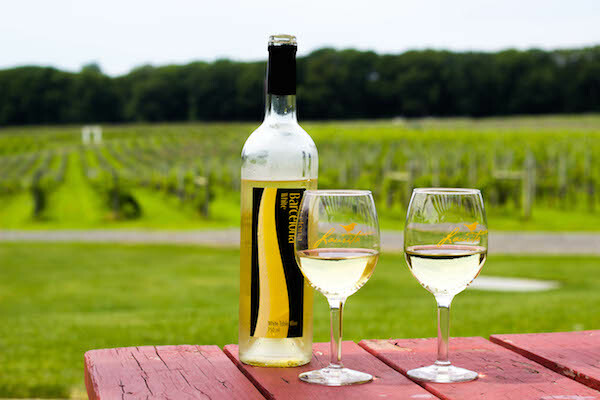 Our time at Laurita Winery was lovely, from the wine tasting to the stunning views of the vineyard as we sipped on glasses of white wine. It was the perfect way to spend a relaxing summer day, and one that I would not have experienced without that initial feeling of wanderlust. Regardless of where you are right now, take the time to explore. Travel doesn't have to take place miles and miles away. Look to your own backyard -- I'm sure there is something waiting to be discovered. I love you outfit you look fantastic, perfect for the occasion, I live near chianti and there is nothing like a day in the Winery. Beautiful Romper, you look fabulous! The hat is a lovely touch. Thanks! It's one of my favorite accessories! I loved going to a winemaking. I agree with you. There's a lot to explore close to us. That romper looks fabulous on you. Oh wow, it's hard to imagine that place being in Jersey! It's so wonderful that you're perpetuating the notion of travel and discovery not being limited to geographical distances. I've caught myself off guard several times by stumbling across little places around where I live where I've not been to before and marveling at my own ignorance. Such lovely pictures and your romper is adorable! What a stunning look darling! Amazing shoots and places! !